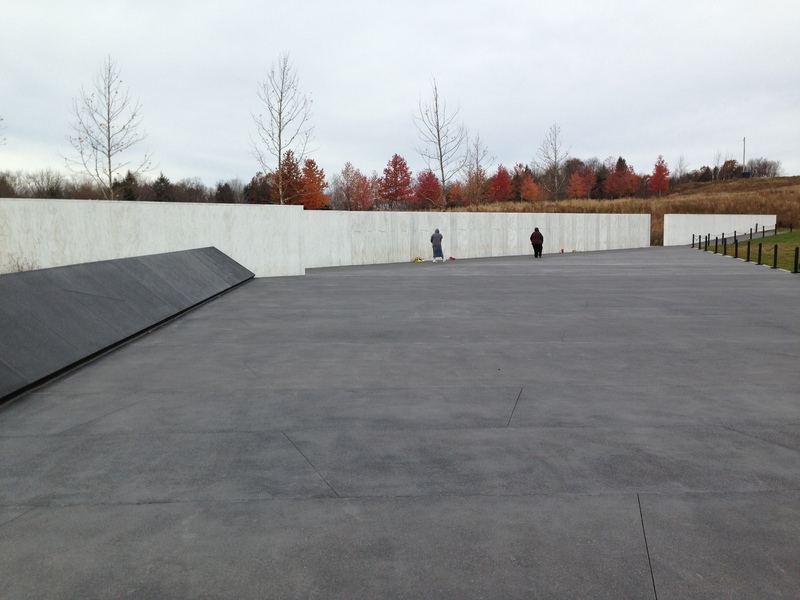 Katherine and I had the privilege of visiting the Flight 93 National Memorial earlier this week. It is located in a field just outside of Shanksville, PA, in the Allegheny Mountains, the sight of one of the four jet airliners that was hijacked on September 11, 2001 in which thousands were killed in the worst attack on American soil in history. What distinguishes this site is that it represents the only failure among the attacks, though it came at great price. While three jets successfully targeted the World Trade Center in NYC, and the Pentagon in DC, this one was intended for the Capital, where Congress was in session. On a purely symbolic level this represented the most potentially devastating to the Nation. Forty brave souls consisting of flight Crew and Citizens rushed the flight cabin as one in an attempt to foil the plan. As they did, the hijackers rocked the jet back and forth to knock them off their feet. But this caused the jet to roll and then crash in the field pictured here. The boulder you see through the gate was at the edge of the crater created by the blast, a huge explosion. That sleepy field instantly became a sacred burial ground and monument to heroism and sacrifice. The wood gateway to the field is made from Hemlock, the local tree that stood tall lining the wreckage, even as they burned. 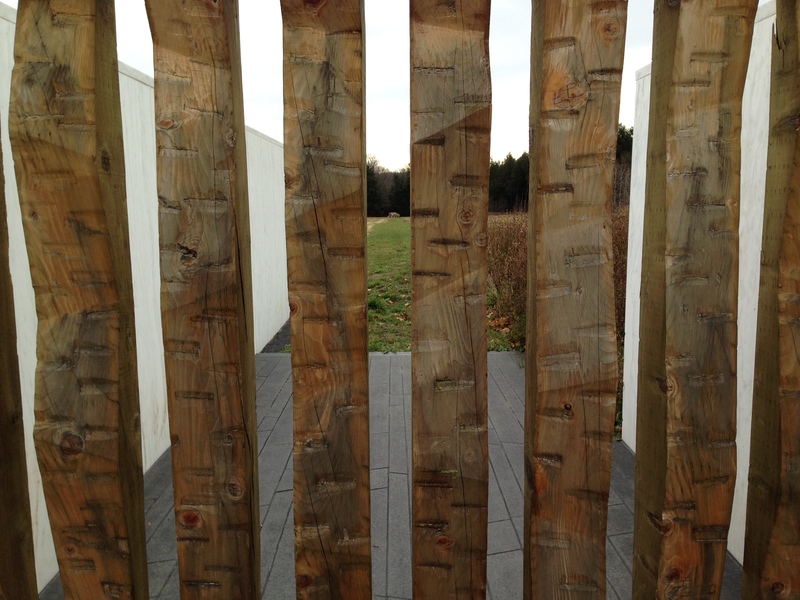 Forty notches representing each hero have been hewn into each beam. I love that the Guides focus on the heroism. So it is with our journey with Christ. Each of us – unfinished and under repair – bear sorrows and regrets. And because it is our nature to cover and attempt self-repair, we never get past what we can’t ‘fix.’ Something deep within refuses to believe that God has something better than what we think we have lost – but He does. And fortunately His grace has been inescapably memorialized with two wood beams notched and stained with Christ’s own blood, our reminder that in the wreckage and devastation of sin through His sacrifice, there is a big, wide and beautiful story beyond our wildest hopes and dreams. Almost daily, on my commute, I find my thoughts going to past events that I wish I could permanently erase from my memory. I cannot. I wish they served a purpose other than accusing me. You are currently reading Monuments of Grace at unfinished1.